Distinguishing Characteristics Hispanic female. Brown hair, brown eyes. Jessica has a small scar above her eye and a vertical scar on her abdomen above her appendix. 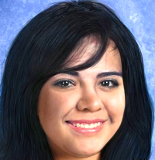 Jessica disappeared from Amarillo, Texas on October 20, 2010. She was last seen walking from her home in the 1300 block of north Bolton Street to Palo Duro High School. She never arrived and has never been heard from again. She didn't take any money with her, and none of her clothes were missing from home. Jessica may still be in the local area, or she could be in Lubbock, Texas or Port Saint Lucie, Florida. She doesn't have family in any of those cities, but she does have some relatives in Mexico. Jessica hasn't been in touch with any of her family or friends since she went missing. She was originally classified as a runaway, but investigators are no longer sure what caused her disappearance. Her case remains unsolved. Updated 3 times since October 12, 2004. Last updated December 27, 2017; distinguishing characteristics updated.